Sometimes recipes write themselves and thats what happened to this one. 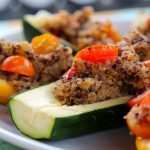 I started off making a tomato, zucchini and herb salad and the zucchini was so gorgeous I ended up stuffing them with the salad. Such a dramatic presentation and so easy to make! 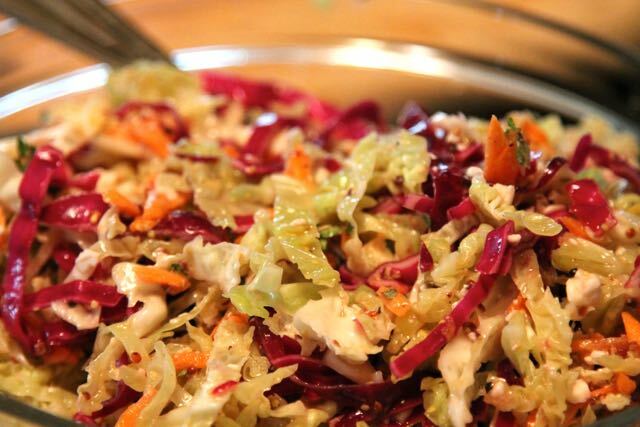 This dish is such a wonderful and versatile side dish. I used both golden and green zucchini for a dramatic presentation but either works. I don't use cheese here but feel free to top the salad with feta, mozzarella or parmesan before you bake it. Preheat the oven to 350 degrees. Halve the Zucchini Lengthwise, scoop our the seeds with a spoon. Place on a baking sheet lined with parchment paper brush the inside of the zucchini with 1 tablespoon of the olive oil and season with salt and pepper. Bake for 20 - 30 minutes until the zucchini has softened. remove from the oven and set aside to cool. rinse the quinoa in a colander and place in a saucepan with 2 cups of cold water. Bring to a boil, cover, and reduce the heat to low. Simmer the quinoa until the water is absorbed. Add the remaining olive oil, Balsamic vinegar, chopped tomatoes, and 1 1/2 tablespoon of the chopped basil/parsley. Mix together and season with salt and pepper. 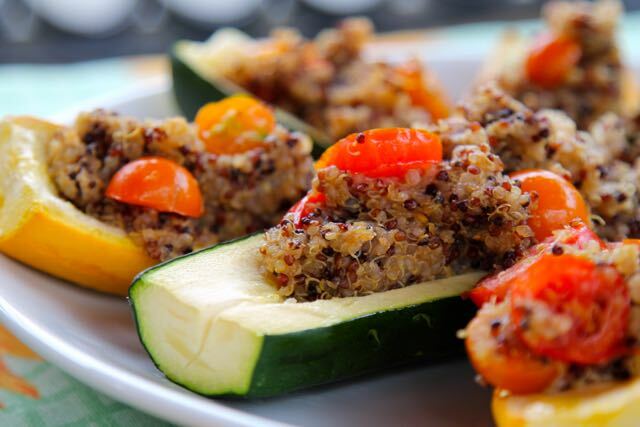 Stuff the zucchini with the quinoa salad. This dish can be made up to this point 2 days in advance just cover and cool to room temperature before refrigerating. Bake the stuffed zucchini in a 350 degree oven for 20 minutes until warmed through. 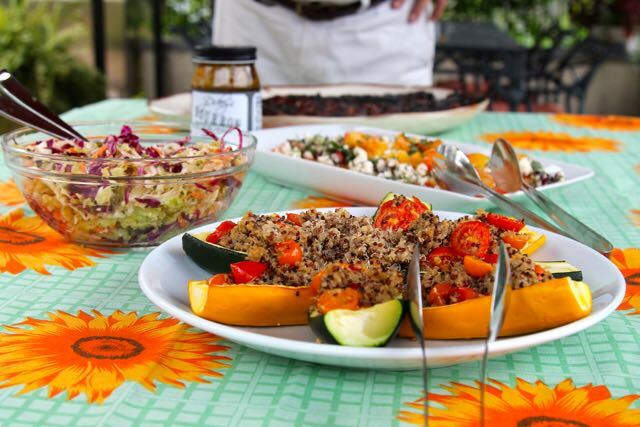 Cut the zucchini in half, arrange on a serving platter and sprinkle with the remaining 1/2 tablespoon of chopped herbs. Such a pretty, dramatic salad. I know it tastes as good as it looks. I’ll be trying your recipe this weekend.